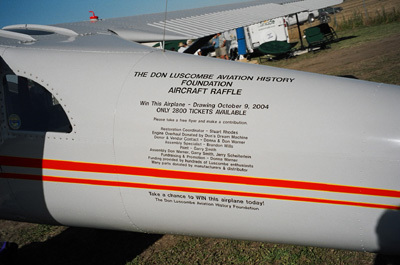 Only 2800 tickets to be sold for the October 9, 2004 raffle. 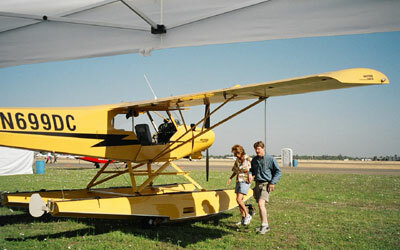 Jenni Martin's Super Cub taxis up as Steve accesses how to get it into the display area. Looks like the Daytona Super Cub is in place, Jenni and Steve do a walk around to secure it. With five aircraft all around us, it's hard to see the StrangeBirds.com display! 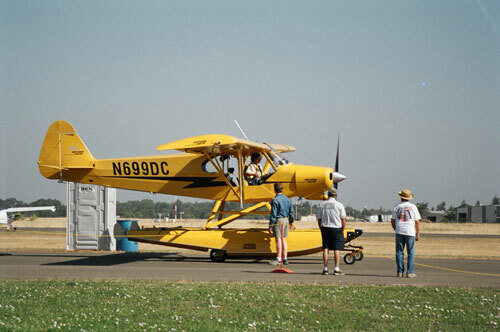 Terri Martin's Super Cub is assisted to the runway, as she says goodbye... for now! Steve checking out some of the gorgeous "birds" that are settling for the night on the field. A few of the classics and Warbirds out on the tarmack. 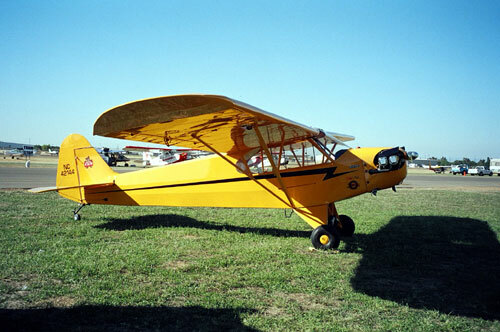 Another of our display's aircraft, this beautiful Piper Cub was won by Frank from the Piper Cub club in 2003. 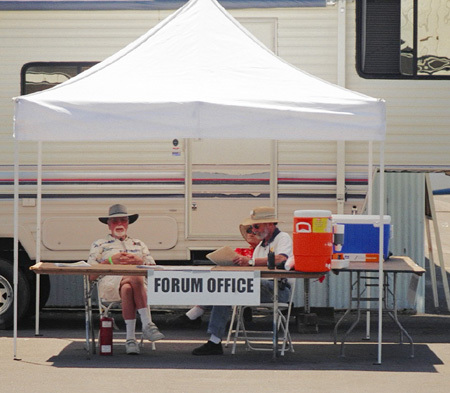 Okaley Giffin, left, (the polished RV-6 owner and builder) and the Forum Director, Fred Baron. Ph: 707-476-0104 Hours: 09:00 to 21:00 PST Mon.-Fri.